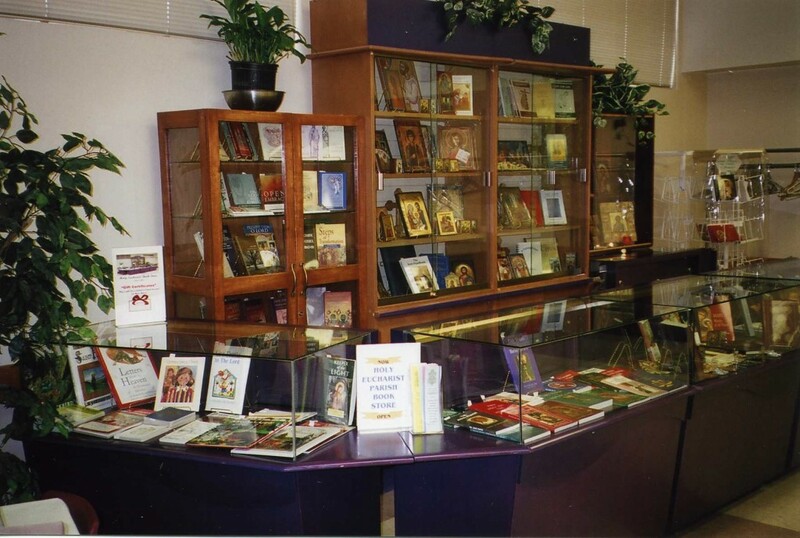 We specialize in Eastern Christian books, icons, and materials to assist growth in prayer and faith. We stock items not readily available in Winnipeg’s other Christian bookstores. These include children’s books, saints lives, spiritual writings, and scripture study aids. We offer greeting cards for celebrations of life and Church feasts, music CDs of Slavic, Greek, and English chant, and a variety of icons from $5 to $35. We can also handle special orders for you. Our goal is to provide resources to challenge the minds and hearts of our Ukrainian Catholic faithful to grow in faith, hope, and love, just as much of our schooling and careers stimulate our growth in secular knowledge. We are located in the Church auditorium (basement) and open after each Sunday Divine Liturgy, frequently after other church services, and with other Church auditorium events like the “Ask Father Michael” nights, Tuesday night bible-studies, and the perogy work crew gatherings. Please call the bookstore coordinator at 204-334-2081 for arrangements to visit the bookstore at other times. Also, we can receive your questions and purchase requests by email. Many thanks to all our Holy Eucharist parish volunteers who have assisted in opening and running our bookstore!